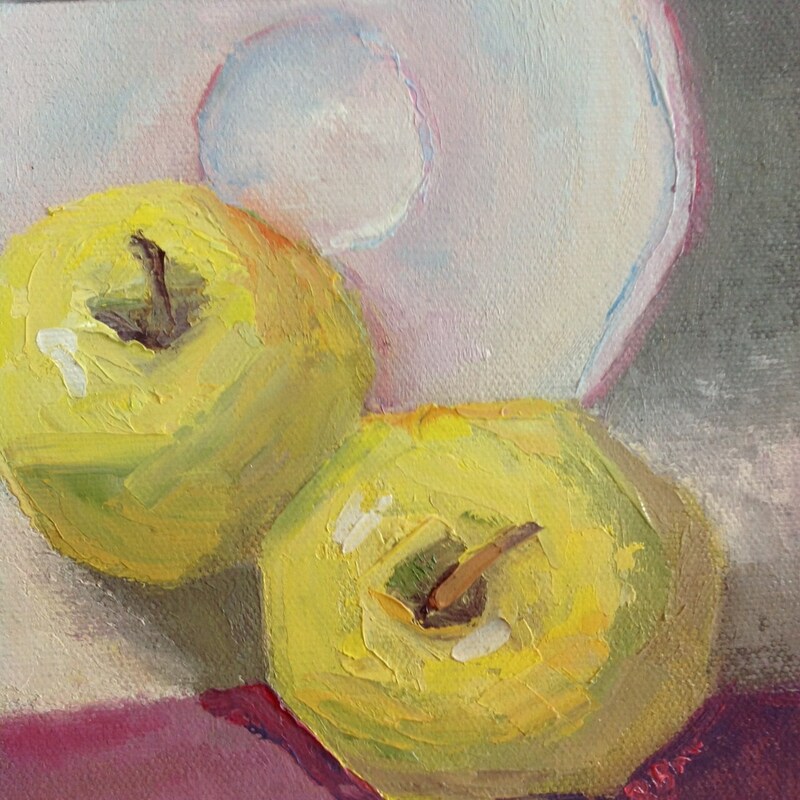 APPLES FOR BREAKFAST is an original 6" x 6" oil painting on a canvas panel. 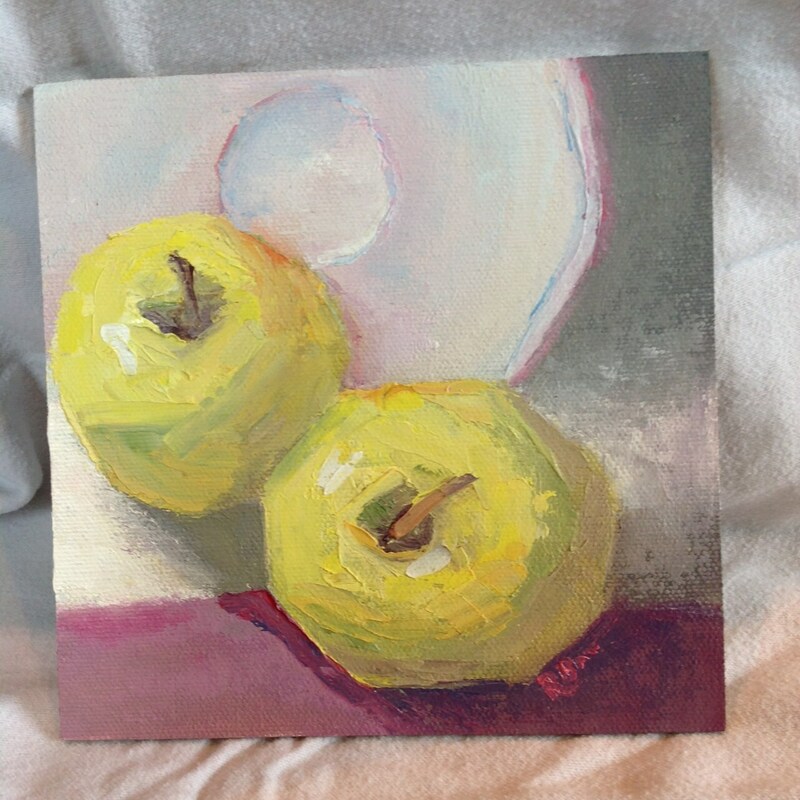 It is an impressionistic picture of two Yellow Delicious apples and a plate. The deep purples and blues of the plums are striking. 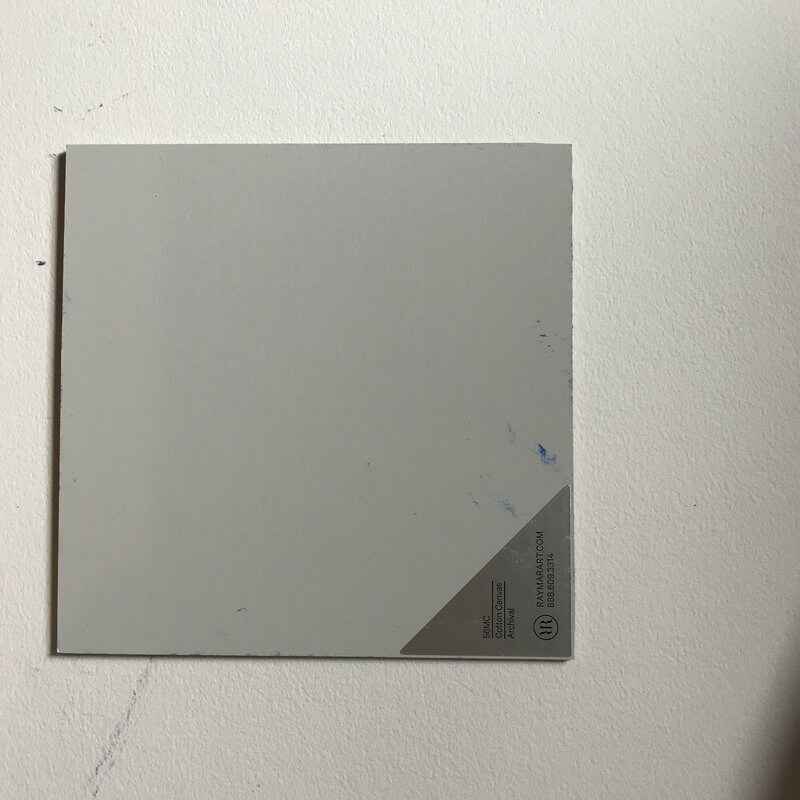 The plate is done in shades of ivory, with the light reflecting yellows and pinks in the shade. 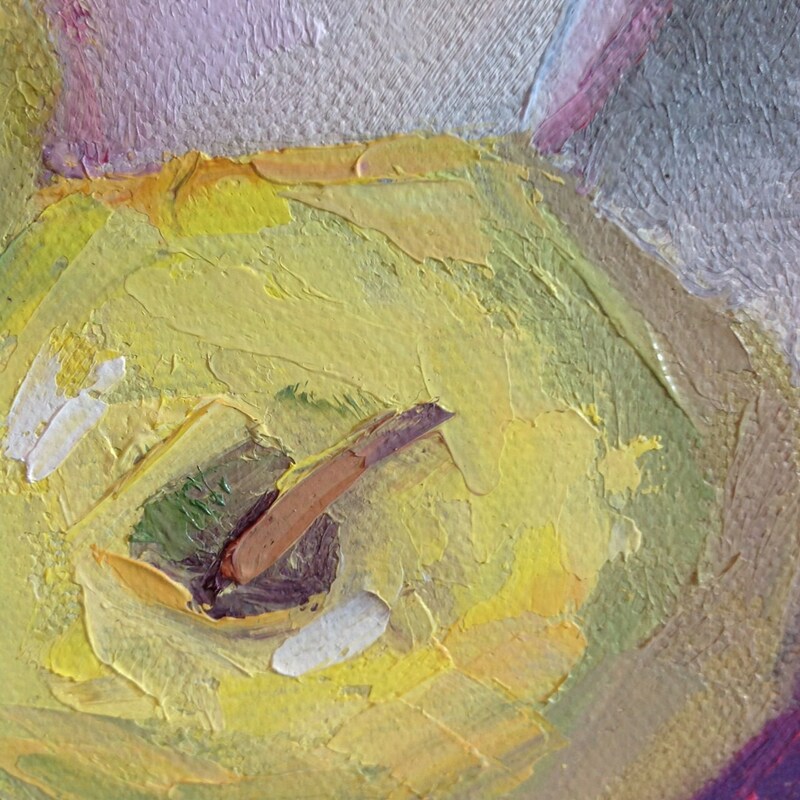 The apples are soft yellows painted in bold strokes. Lines are blurred and the accents make this the perfect little masterpiece.